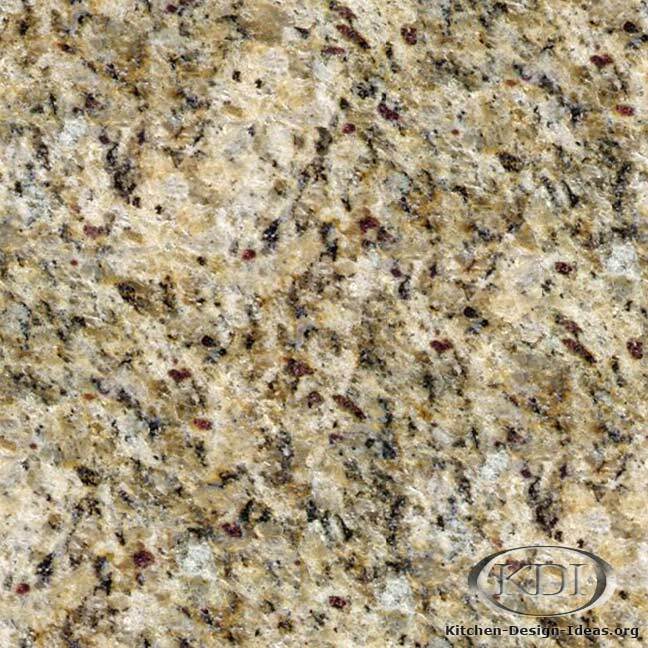 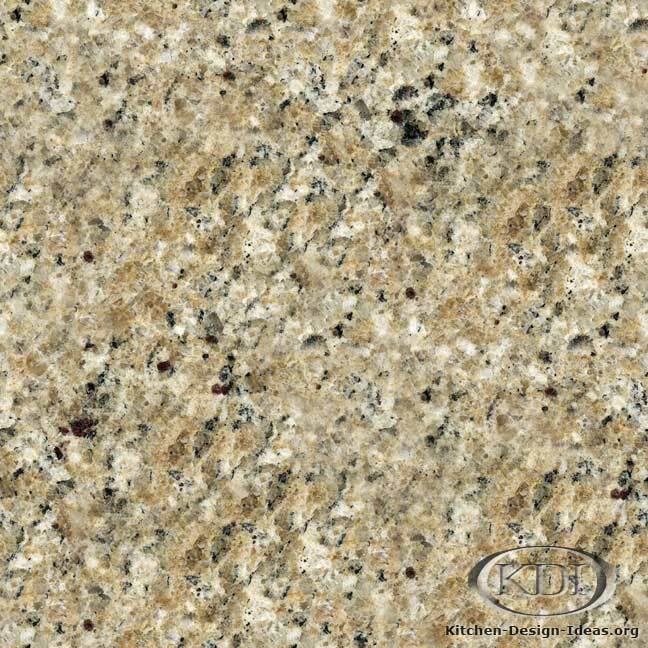 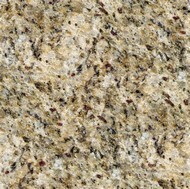 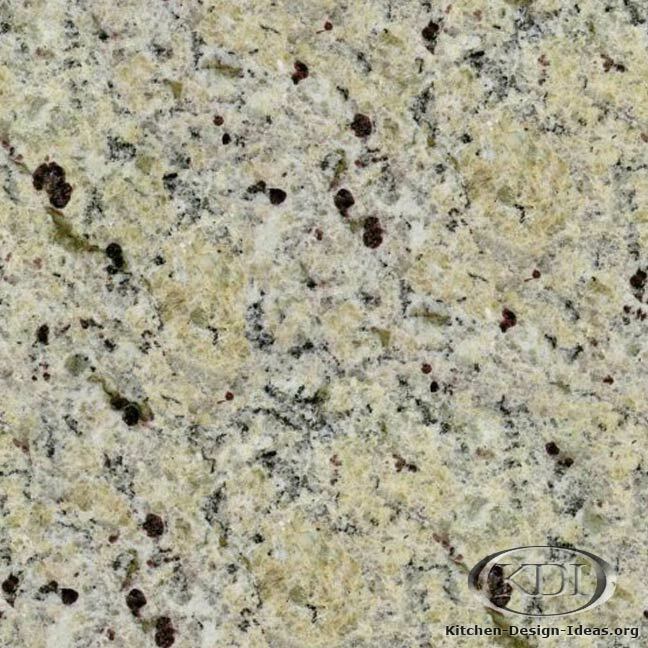 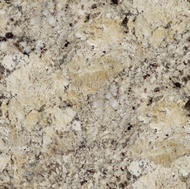 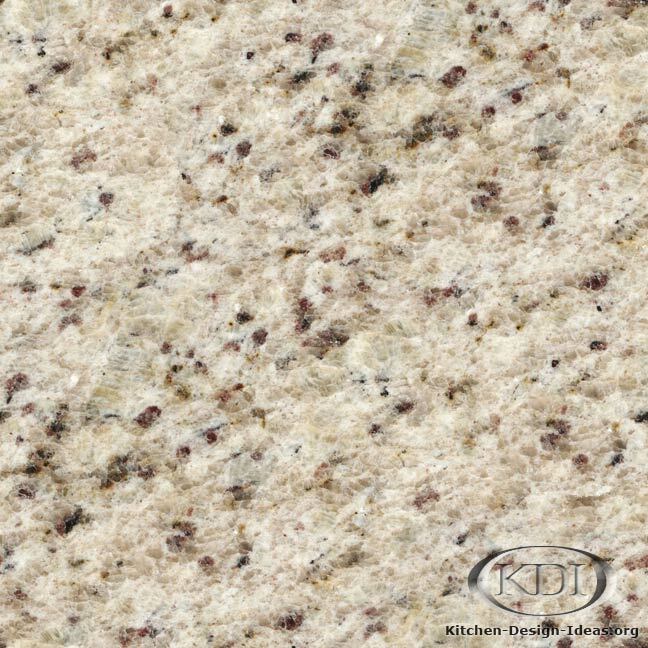 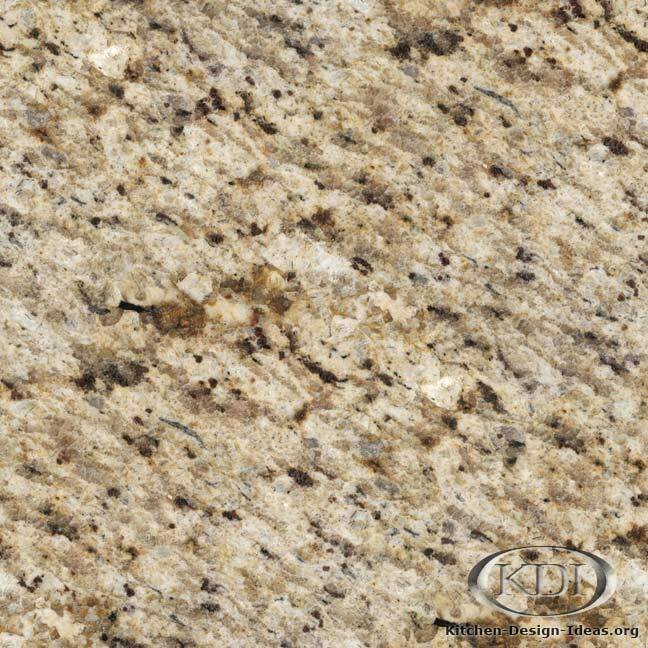 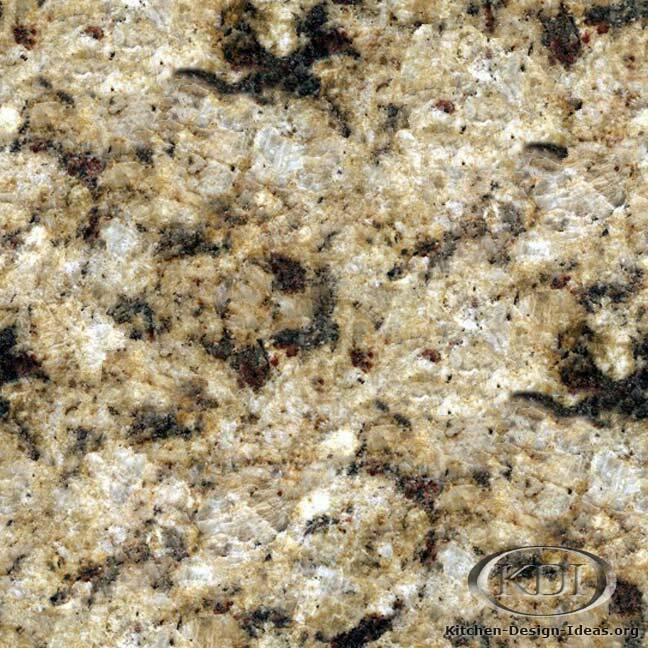 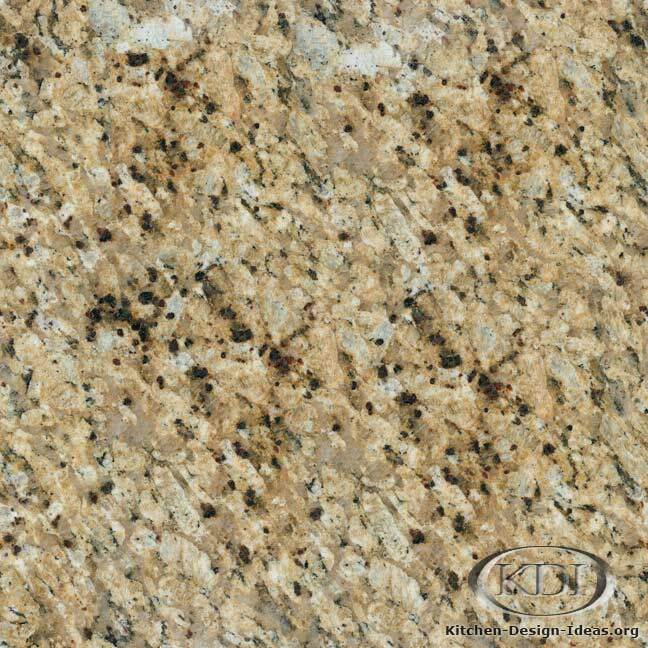 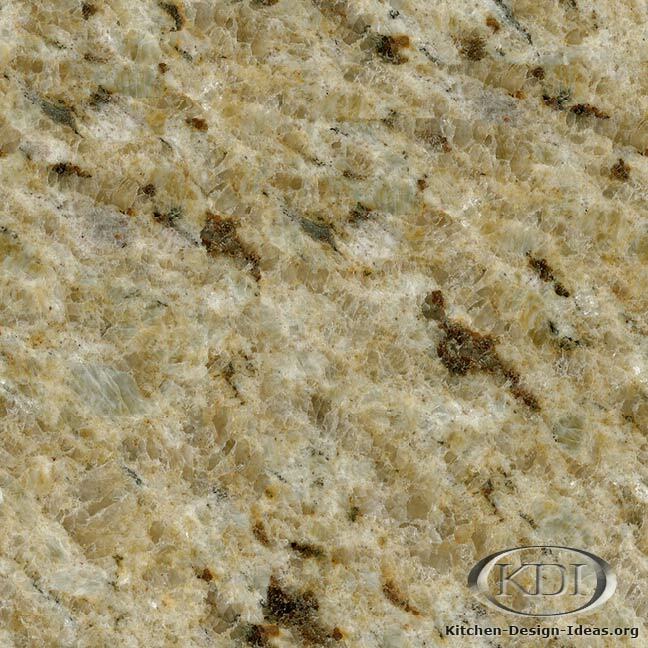 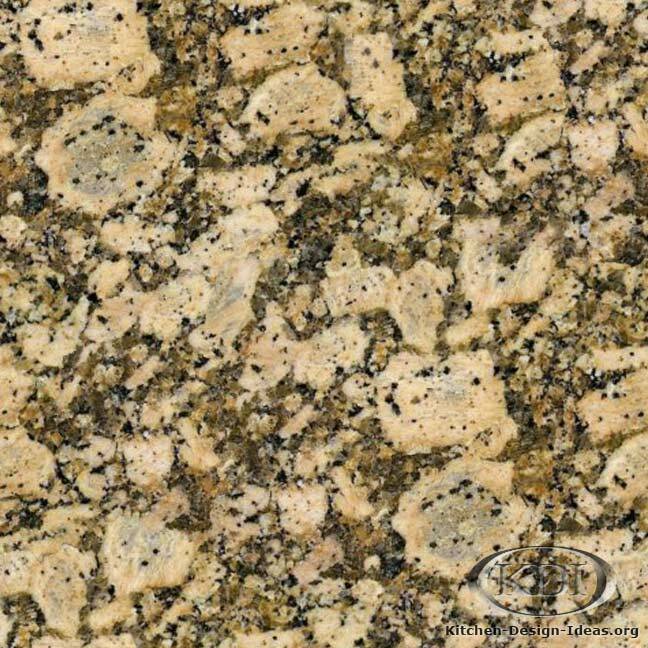 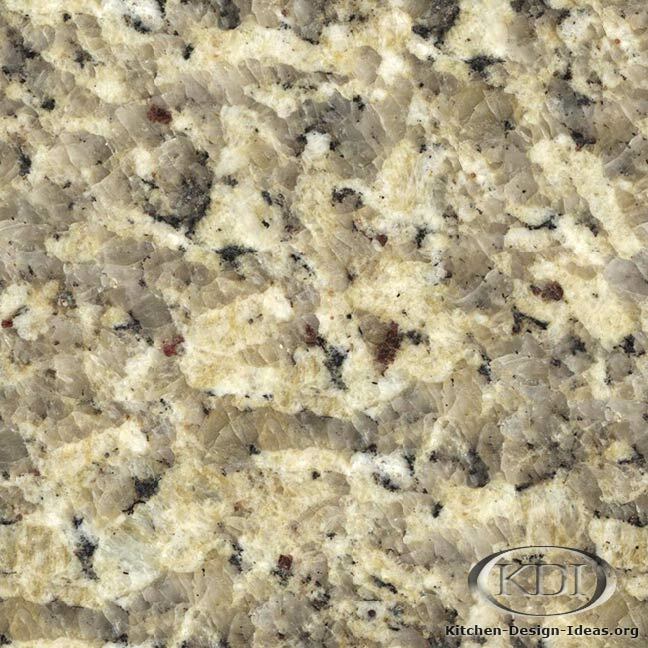 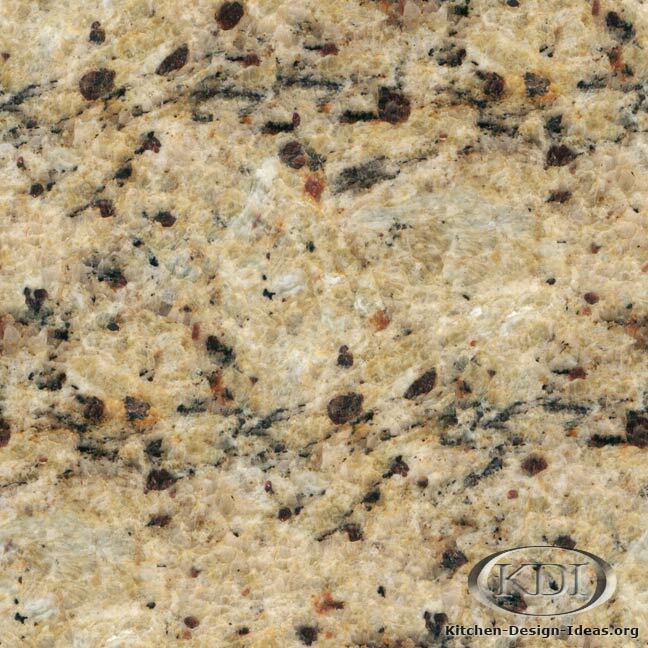 Designer Comments: A lightly hued stone featuring translucent quartz crystals, red garnet speckles, and black granite accents on a beige background, Giallo Imperial granite adds cheerful warmth to any kitchen. 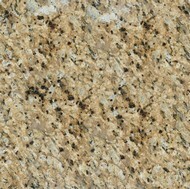 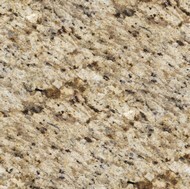 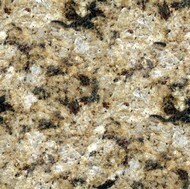 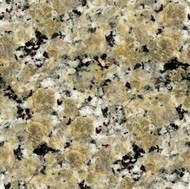 This stone pairs well with wide range of cabinet colors. 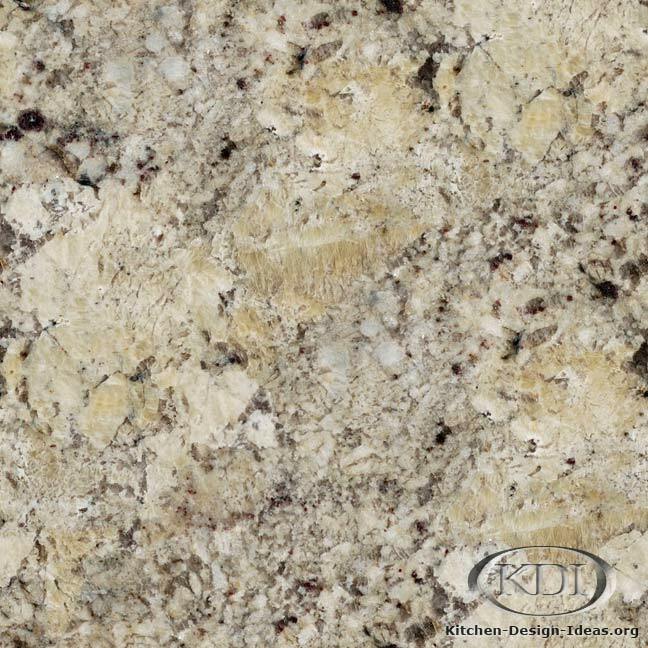 Consider using it with antique white, Cherry, or Walnut cabinets to form the basis of an excellent color scheme. 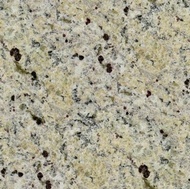 Caveat: Image and color accuracy are not guaranteed. 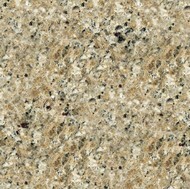 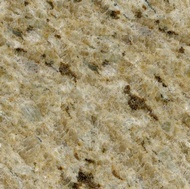 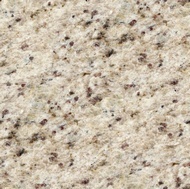 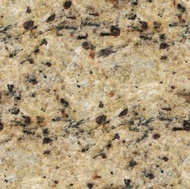 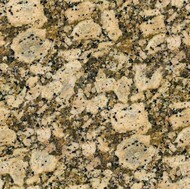 With the natural variation found in all granites, locating material that looks just like this photo is simply not possible. 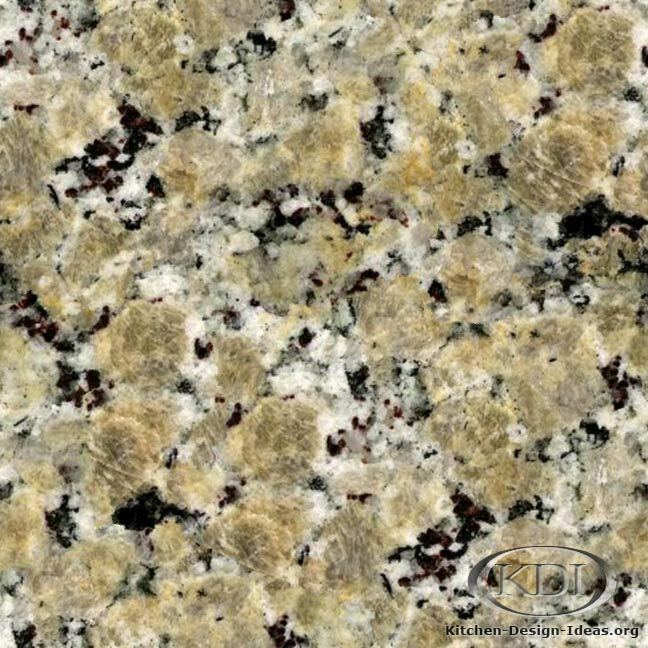 Because of this, please be sure to select your granite slabs by hand when ordering your kitchen countertop.